Established in 1984, Cav’s is owned and operated by Richard Cavill, great-grandson of James Freeman Cavill, an early pioneer of today’s Gold Coast. Jim was the original self-made man. In the 1920s he won fame and fortune when he became one of the first to swim the English Channel. The family tradition began in 1925, when Jim opened a 16-bedroom hotel on land he’d purchased at the corner of Ferry Road (later to become Cavill Avenue) and the Pacific Highway, in a sleepy little backwater then known as Elston. Being close to a fine surfing beach, he called it the Surfers Paradise Hotel. In 1928, when a lifesaving club was formed nearby, it wasn’t named the Elston Club, but rather the Surfers Paradise Surf Lifesaving Club. Jim Cavill was its patron. 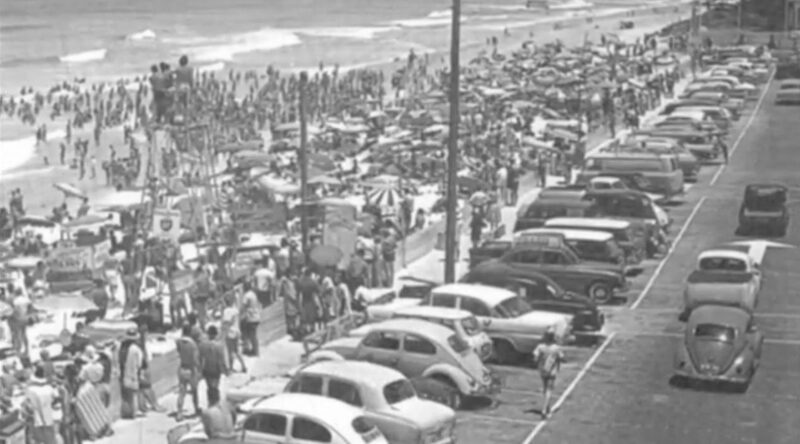 In 1933, Jim and a group of local activists had the town’s name officially changed to Surfers Paradise, a name now internationally recognised as a resort destination. In 1936 disaster struck when the Surfers Paradise Hotel burned to the ground. Undaunted, the then 74-year-old Jim rebuilt, opening a new brick and stucco Surfers Paradise Hotel on 24th September, 1937. Jim passed away in 1952 at age 90 but his hospitality industry background lived on. Richard Cavill’s early years gave him a unique insight into how to run a successful family restaurant. As a border at The Southport School, he spent many of his school holidays collecting glasses and doing odd jobs at Queensland’s famous Breakfast Creek Hotel in Brisbane. The ‘Brekkie Creek’ was owned by his parents and he quickly learned how a couple of icy cold beers in the middle of summer were all the more enjoyable when accompanied by a succulent steak that few other restaurants could match for taste, tenderness or good old fashioned value for money. While his parents expected that he would join the family business when he finished his schooling in 1982, a job at the Gold Coast’s Pacific Hotel gave him more freedom to pursue his love of surfing and other compelling attractions. In 1983, after a short stint at the Pacific Hotel, he helped set up and open the Lone Star Tavern at Mermaid Waters. At that time, Mermaid Waters was a very new suburb, but the tavern quickly became a favourite with locals and tourists alike. Lessons learned at the Lone Star Tavern were transferred to The Spit, where Richard set up and opened the very successful Fisherman’s Wharf Tavern. In 1984, the Cavill family purchased the Beef Baron Restaurant at Labrador. The old building was gutted, refitted and reopened as Cav’s Steakhouse. By the time he’d taken the helm in 1987, Richard had acquired a wealth of valuable experience about the food and beverage industry and the importance of customer service. Richard maintains that the secret of Cav’s enduring success lies not so much in buying the best grades of meat from a network of contacts throughout Australia and New Zealand, but also in ageing the meat, so it remains tender and packed with flavour when cooked. The longer it is aged the better, because it allows the enzymes in the meat to break down. The process takes five to six weeks and is controlled and monitored very carefully. Cav’s has been one of the Gold Coast’s top tourist attractions since it opened, but today, it’s also one of the coast’s preferred venues for business and family dining and for celebrating special occasions. 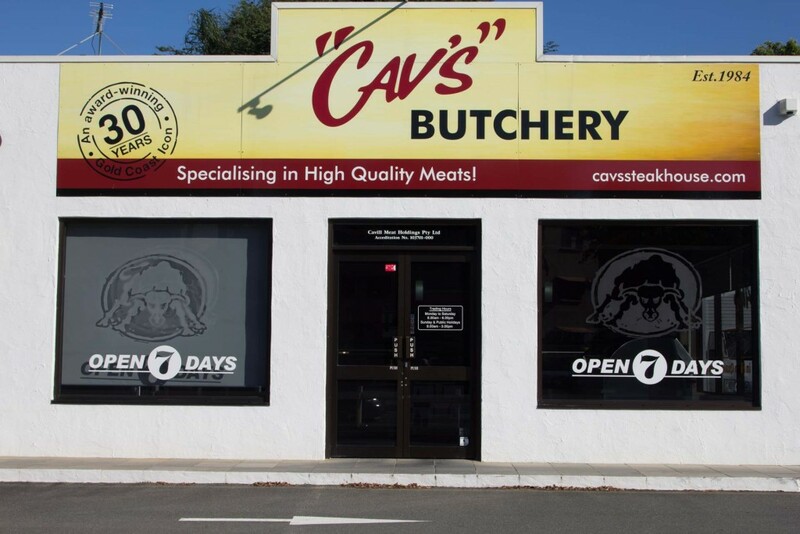 Perhaps that’s why Cav’s Butchery has also been so successful. The butchery opened in 2001 and by 2004 had become so popular with people seeking premium, restaurant quality cuts that new and larger premises had to be opened next door to the steakhouse. Nowadays, customers can take home just about anything appearing on Cav’s extensive menu, including a wide selection of pre-prepared salads and sauces to accompany the eye fillets, t-bones, veal cutlets and many other succulent cuts. In fact, Cav’s chunky fillet steak pies are in such demand that it is wise to order them a week ahead. Managing a successful restaurant in the Gold Coast’s sometimes volatile economy for over 25 years is no mean feat, but Richard Cavill has survived and thrived in Cav’s high profile Frank Street location. Today, Richard continues his forebear’s tradition of pleasing the public. 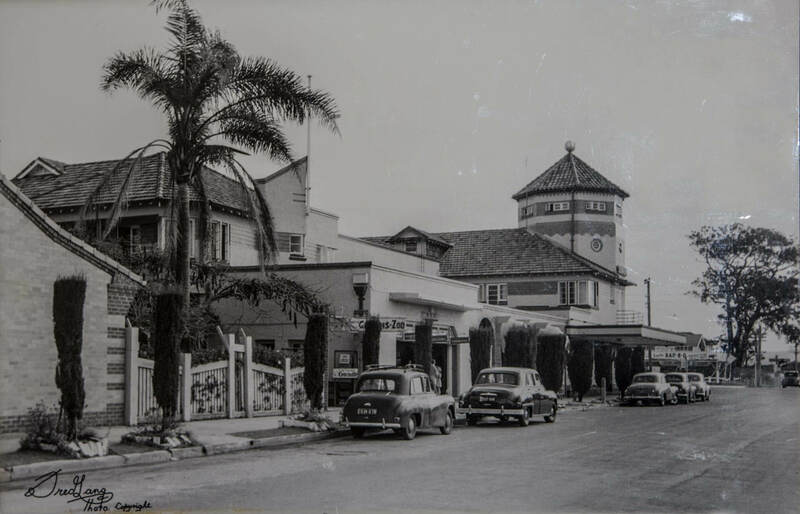 The restaurant’s low-set hacienda-style façade, with its life-like herd of cows grazing contentedly on the front lawn is an iconic reminder of the diverse tapestry that comprises the Gold Coast’s cultural and economic development.